It’s “The Right of Swing! !” Come listen to Duke Ellington’s Greatest Hits, including songs like Satin Doll, Sophisticated Lady, Take the A Train, It Don’t Mean A Thing, Mood Indigo and many others. The Coastal Jazz Association and Armstrong State University are teaming up to offer a FREE jazz concert, featuring internationally renowned soloist and saxophonist Ralph M. Jones, who has been active as a performing artist in the African-American Improvisational tradition for over 30 years. Jones has been a featured soloist with the WDR Radio Orchestra of Koln, Germany, and the Atlanta and Detroit Symphonies in the premiers and performances of Dr. Lateef’s “African American Epic Suite” for quintet and orchestra. 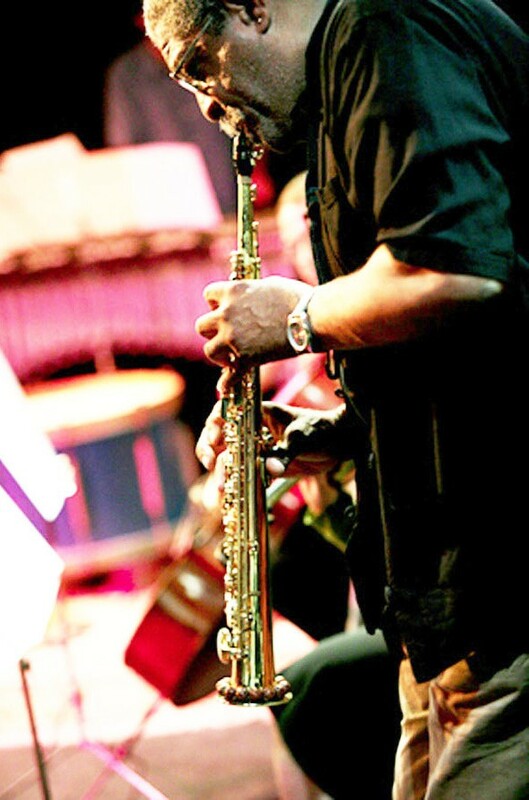 He is also a founding member of the internationally acclaimed world music ensemble, Eternal Wind. Jones recently composed original music for the award-winning documentary film, “Tell Me, Cuba,” and provided original music for a new production of the critically-acclaimed play “Death of a Salesman” featuring Avery Brooks. His most recent CD releases are Yusef Lateef & Ralph M. Jones III:” Woodwinds” on YAL records, “Ye-Yi,” and “Merely a Traveler on the Cosmic Path,” on Meta Records. Jones was recently the featured soloist with the Wooster Symphony. As an educator, he served on the music faculty and as co-chair of the California State Summer School for the Arts. He was Faculty-in-Residence at Oberlin College’s Afrika Heritage House. Duke Ellington While at Oberlin College, he taught “Introduction to African American Music” and has designed his own course “Great Musical Thinkers in the African-American Improvisational Tradition.” He is currently senior lecturer and musical director of the Spelman College Jazz Ensemble. The event will take place on Sunday, April 26th, 2015, 5:00-7:00pm, at the ASU Fine Arts Auditorium, 11935 Abercorn St., Savan- nah, GA. The concert is FREE and open to the public, fulfilling the mission of the Coastal Jazz Association (CJA), to keep Jazz alive and preserved in Savannah. CJA also has a mission in fundraising and providing scholarships to jazz student musicians. Its programs include the annual Savannah Jazz Festival, monthly jazz concert series, and Savannah Jazz Hall of Fame.